This entry was posted on July 11, 2017 by Lightning Labels. 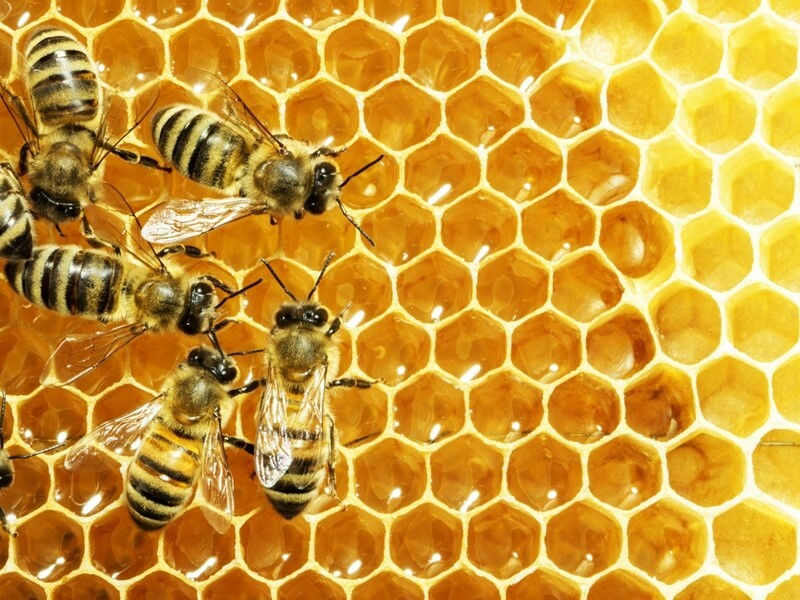 Independent honey production is a rewarding hobby that can turn into a beloved small business. Selling products at farmer's markets or giving out jars to friends and family lets you show off the sweet bounty. Now that it's time to harvest honey, you'll have to think about labeling the resulting products. High-quality custom jar labels by Lightning Labels let you promote the wholesome goodness of honey, whether you're bottling a little bit for gift purposes or turning the hobby into a source of income. When people want sweetness in their food or drinks but would rather avoid sugar or artificial sweeteners, honey will be there for them. Promoting this combination of natural origins and delicious taste is a job for your honey bottle labels. The design you pick will have a big impact on how your products are perceived. When you work with Lightning Labels you have a huge variety of choices - the versatile materials and finishes available can create any look you want, from slick and minimal to charming and rustic. Custom honey labels serve as a calling card at farmer's markets. This isn't the kind of food sales environment where commercials or ads are dominant forces. Instead, shoppers just have packaging to tell different producers' wares apart. You should ensure that your honey jars carry distinctive labels that give a strong sense of your product's background. High-quality local imagery may help enforce the idea that your honey comes from a particular region, inspiring pride and drawing a contrast between your honey and mass-produced brands found in grocery stores. It's time to harvest this year's honey. Honey bottle labels can make your products look great, even if you only produce a small number of bottles each year. While you may assume that professional labeling is out of reach for such limited production, Lightning Labels offers low minimum order sizes and quick turnaround times. This versatility is due to all-digital printing processes, delivering professional quality with an impressive level of flexibility and customer-friendliness. Great honey bottle labels can make your products into cherished gifts or popular choices at farmer's markets. Working with Lightning Labels is a way to get this compelling look, whether you produce honey as a hobby or a career. If you scale up your operations, your labels can come along, with order sizes becoming larger over the years, always maintaining a high standard of quality. But, first of all, it's time to make this year's harvest a big success.